While flossing is an effective way to remove trapped food particles from between your teeth, this isn’t the only reason to floss. Floss also removes dental plaque from between your teeth. If this plaque is left to sit between your teeth, it can make your gums inflamed and lead to tooth decay, gum disease, and even tooth loss. Floss every day, not just when food gets stuck. Flossing is easier than ever before. Your dentist or dental hygienist can show you the basic technique, but if you struggle to floss the traditional way, try a floss holder. This Y-shaped device has a small piece of floss between two prongs. Many people find floss holders easier to manage, as they can be used with just one hand. They can also make flossing those difficult-to-reach back teeth much easier. If you use the correct type and have a healthy mouth, flossing shouldn’t hurt at all. Flossing can be uncomfortable for people with gum disease at first, but with regular flossing, most find the process becomes less painful. If you are experiencing pain when you floss, chat with your dentist about your flossing technique. Flossing can’t make fillings that are kept in good condition fall out. A filling that’s already loose or fractured may fall out during flossing, but these fillings would need replacing anyway. Flossing can actually alert you to problems with your fillings you might not be aware of otherwise! While we’re on the subject, flossing also won’t impact crowns, either. In fact, failing to floss every day will make it more likely you’ll get more fillings and crowns! Just 2-5 percent of people floss regularly. However, the overwhelming majority of people should floss. You should floss every day unless your dentist or dental hygienist tells you not to. Flossing is good for the vast majority of people. If you still have questions about flossing, your dentist or dental hygienist can provide the answers. 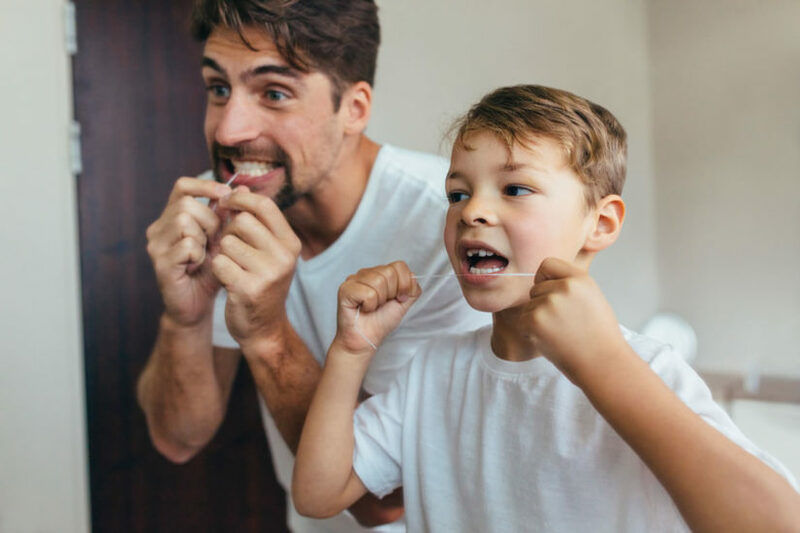 If you’ve heard that flossing is no longer recommended, as was mistakenly reported a couple of years ago, read our article: Is Flossing Still Recommended?